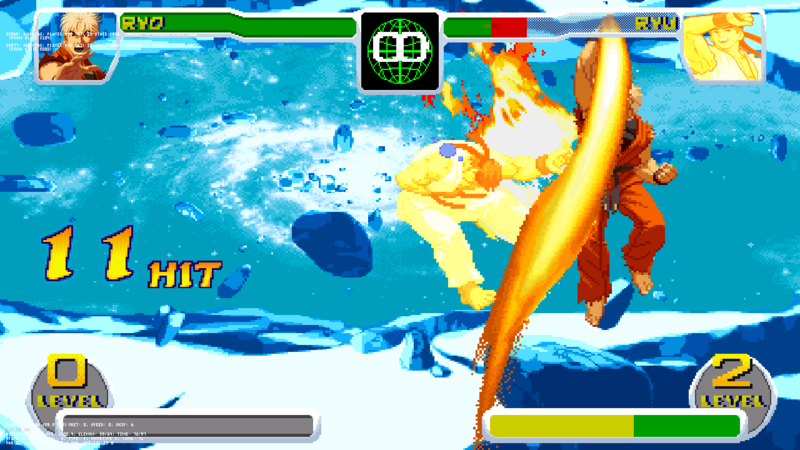 Ryo was the Second character (after Thanos) developed for this game and the one that (ATM) I am working on making as close to mvc (and some of CVS) as I can make it. 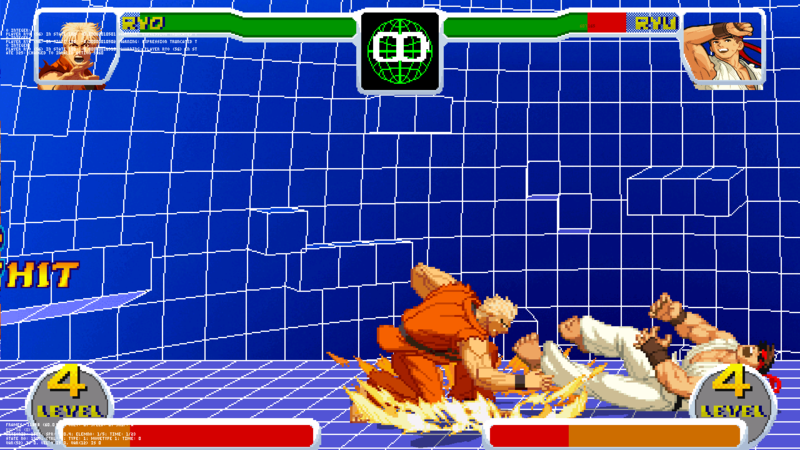 Ryo Sakazaki is an all around character much like Ryu. 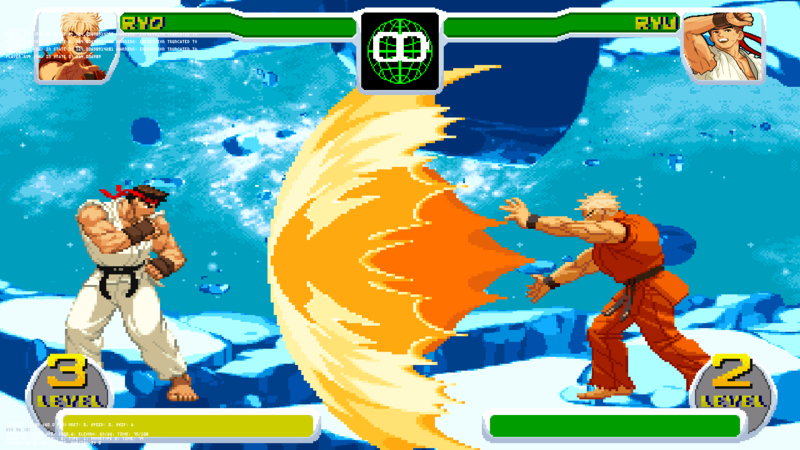 He's pretty much a shoto, except he has a lot more moves and his forward approaching kick is a charge move instead of the normal circle motion. An over head move that also OTGs. Pretty slow, but possible to OTG with if you're fast. 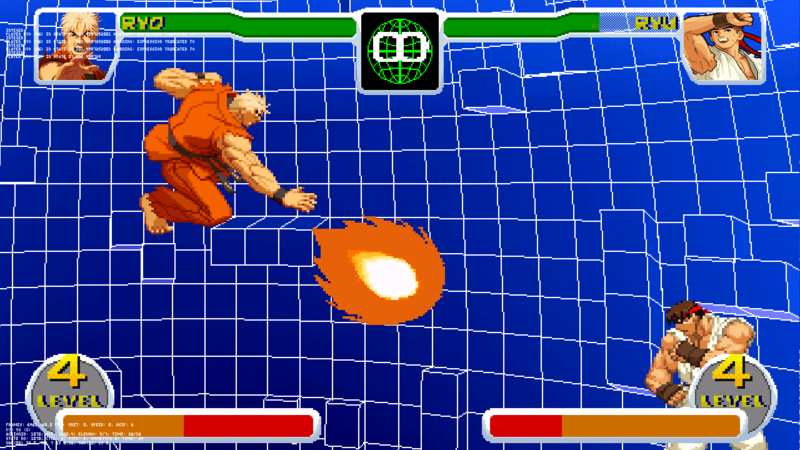 The Standard Fireball, used in the air it travels downwards at a diagonal until it hits the floor. 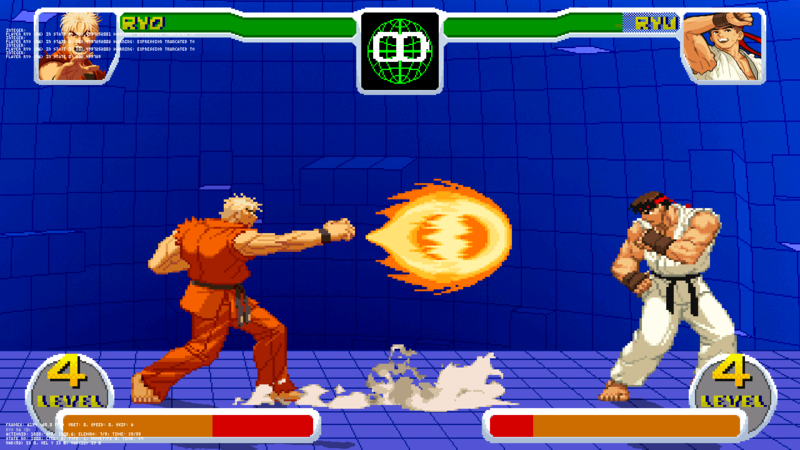 The air version OTGs, and the stronger versions have a longer recovery, but the fireball travels faster. 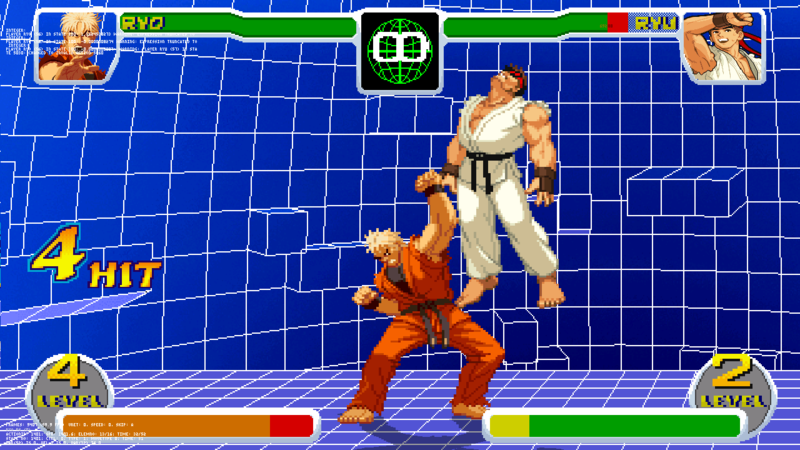 An Anti-Air Uppercut. Heavier versions travel higher, but have longer recovery times, making them easier to punish. 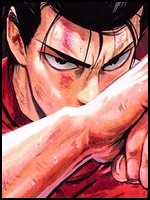 A flying forward kick that causes hard knockdown, The heavier attacks have long start up, but Travel farther. 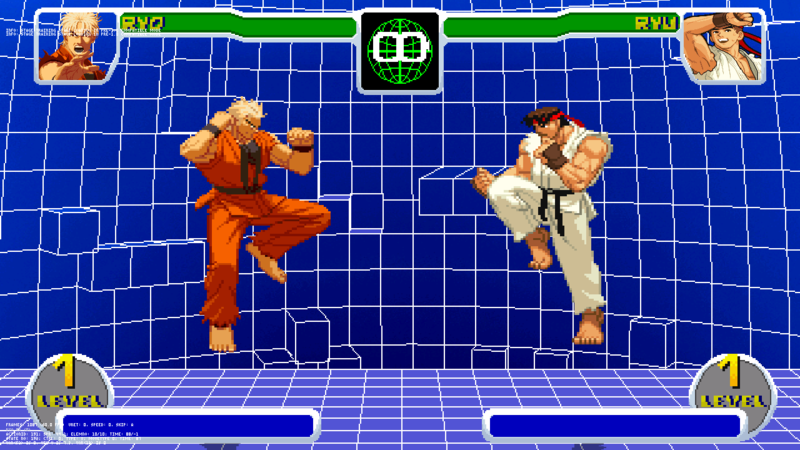 Ryo rapidly Punches in front of him, if the enemy is caught in his punches they get punched repeatedly and then knocked away, causing a wallbounce. The stronger versions do more hits, but have a longer recovery time. 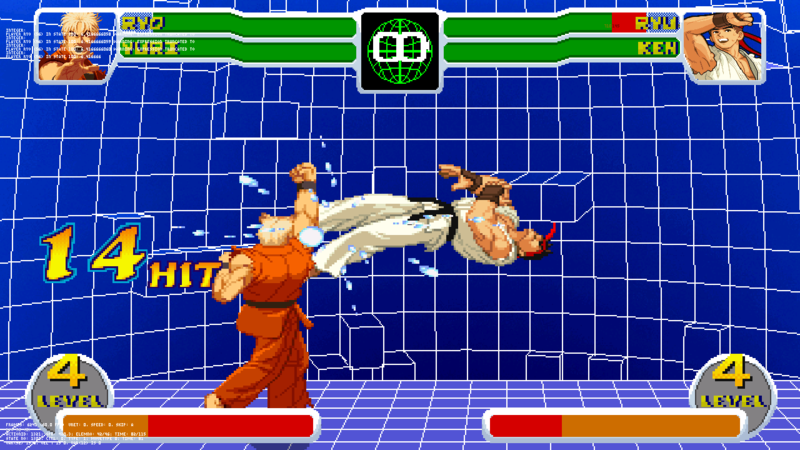 Ryo Jumps forward a distance, slamming the ground with his arm. OTGs, and Heavier versions travel further both vertically and horizontally. 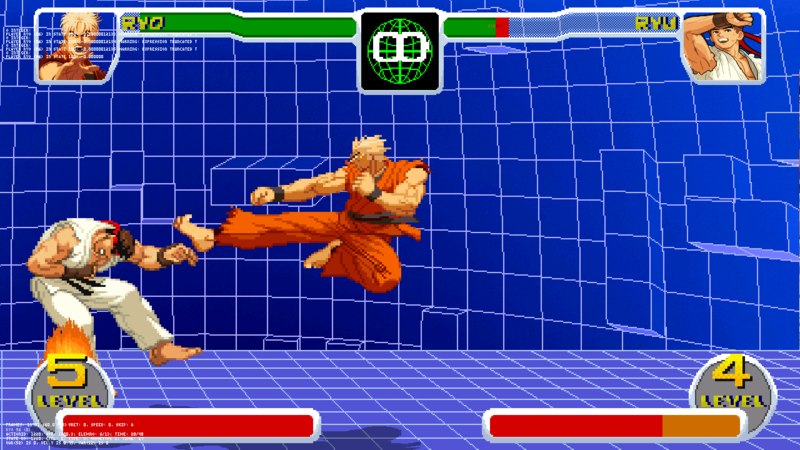 Ryo dashes forward, Punching. 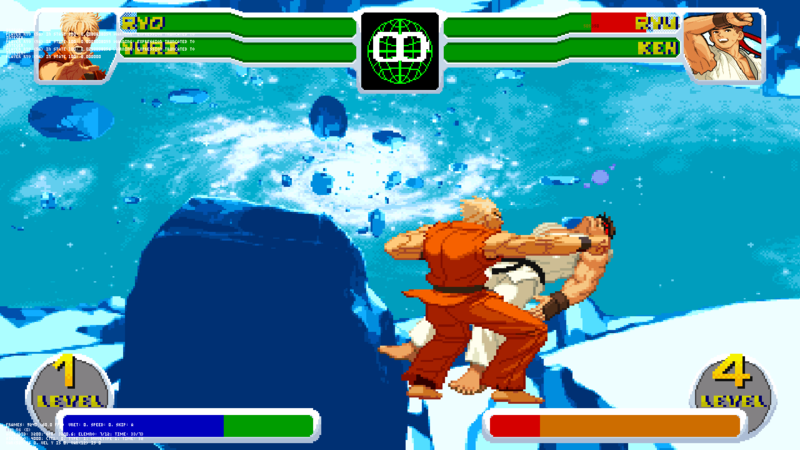 If it connects he hits twice more before launching the opponent upwards. 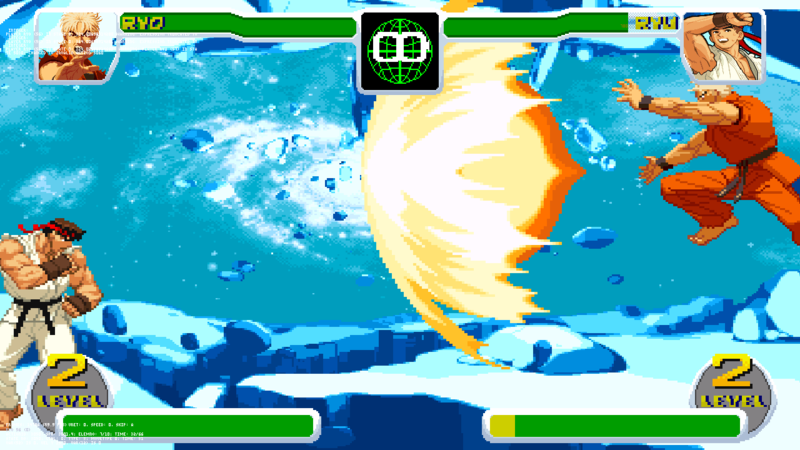 You can cancel the last hit into a super jump. The heavier versions dash further, but has more start up. 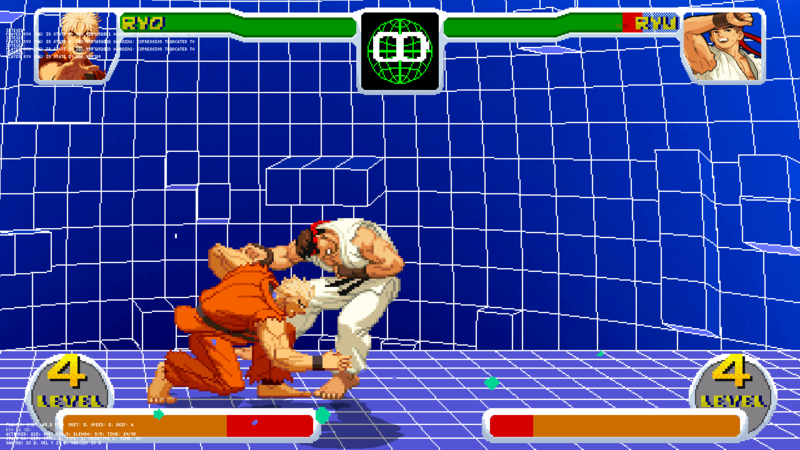 Ryo Launches a large projectile forward that hits 6 times and knocks the opponent back on the last hit. Costs one Hyper Bar. 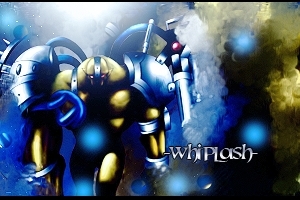 Dashes forward, if it connects, He does a flurry of attacks ending in two flaming Kohous. Costs one Hyper Bar. 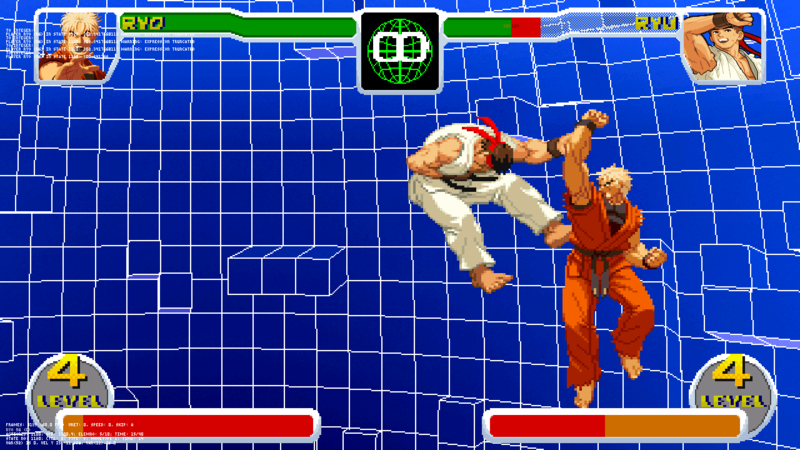 Ryo Charges up and lets out a huge punch that knockes the opponent across the screen and stuns them. A Level 3 Hyper. Yes I copied Buckus' Character Posting style so what. I'll make more character topics as they get worked on. I was using Warusaki3's SFF, Where can I find a colour separated version? Yeah, I'll switch to that set then.